Invest Openly: From Thinking To Unthinking - What Do You Think? From Thinking To Unthinking - What Do You Think? Recently, has been busier with work and hence my blog post frequency is getting affected too. Having said that, I am still targeting to get out at least 2 blog posts per week. Today, thinking of writing something outside the theme of my blog i.e. non investment related, so decided to write something about "thinking". Personally, I usually do quite a fair bit of thinking before taking any action (and sometimes inaction, as a result). At times, I am guilty of over-thinking and hence becomes less "aggressive" in what I am supposed to do (that explains why I started late in the investing journey as well as not that active in trading). 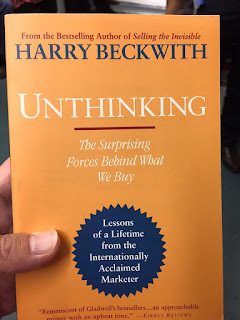 Coincidentally, I am currently reading a book called Unthinking - The surprising forces behind what we buy by Harry Beckwith. It is not a personal finance book, it is more related to selling or marketing. Basically, it try to pinpoint some of the major influences that shape out unconscious decision (knowingly or unknowingly). For example, how the marketers/advertisers are cleverly making use of play (or gamification), surprises and stories to influence the consumers and most of the time, we took the bait. So, the next question worth pondering : Is unthinking process important? 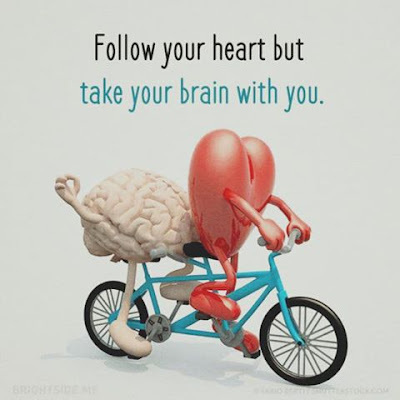 By unthinking I meant following your subconscious mind a.k.a follow your heart. For me, the answer is YES, especially when come to the relationship matter. Sounds like an interesting book. Hope there isnt as much selling as you mention that its a marketing book. I like to dethink once in a while, just keep the mind free and let the brain rest and go with the flow to make the decision. Ya, I think unthinking is important once in a while!